Seven Integration contacted us in regards to this project, hoping that we could fulfil the potential of this purpose built basement. 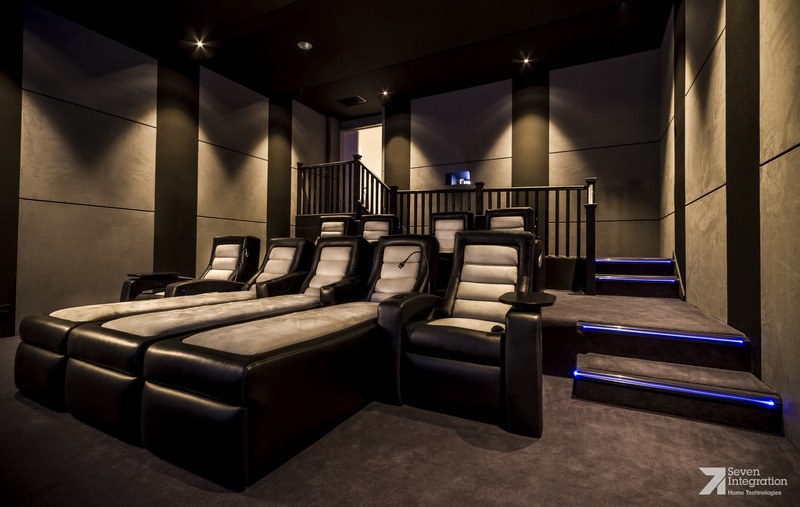 We were excited to work on this project from the moment we saw the drawings and visuals as we could see it was going to be a cinema of the highest spec with very little compromise. 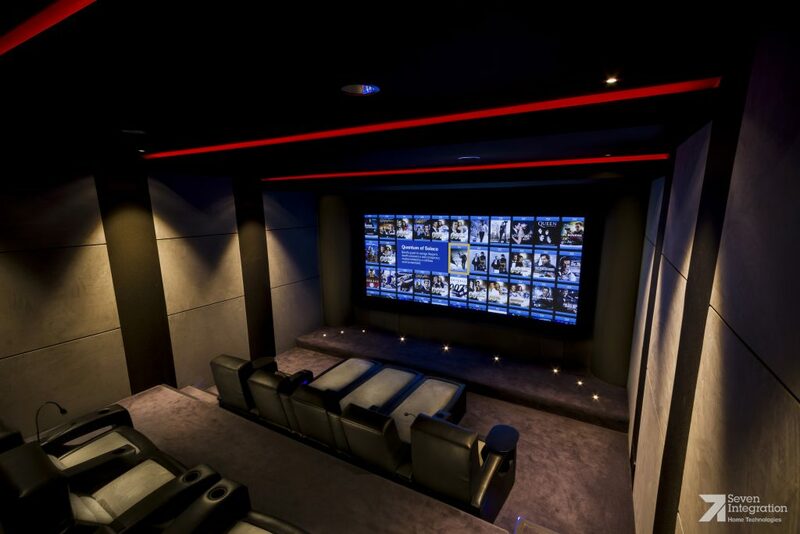 We fitted our tracking system to the stud work to create 3 horizontal bands of Alcantara suede fabric around the room, segregated by vertical acoustically transparent fabric panels which concealed the speakers. 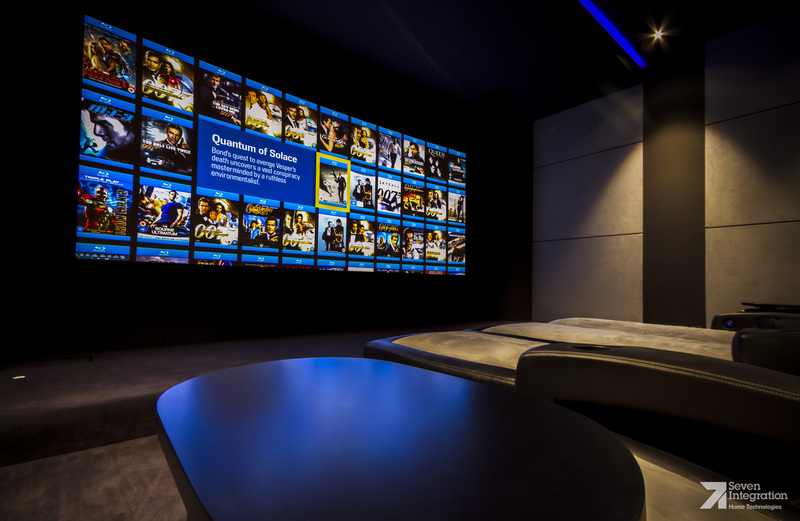 The same acoustic fabric was used on the front wall and the stepped ceiling as this also had speakers fitted behind. 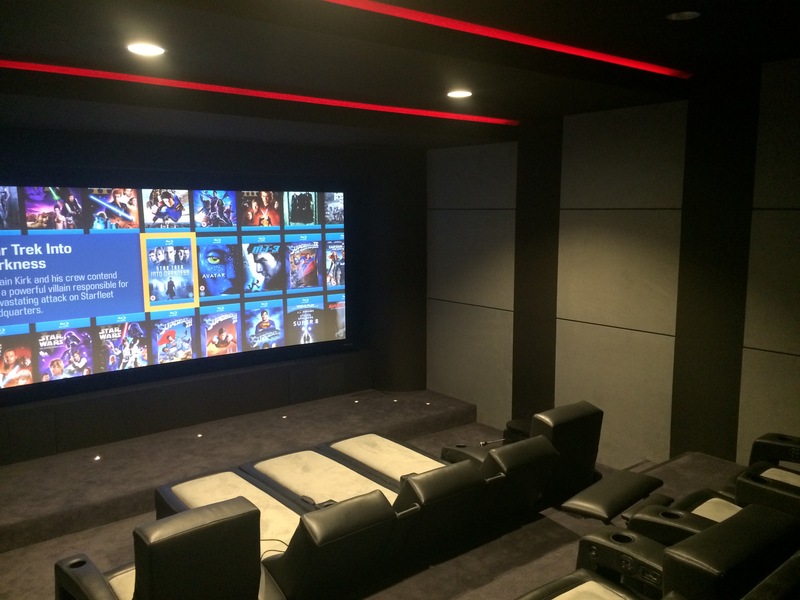 On this job we used our 9mm tracking system, lining fabric, Grey Alcantara suede and Black acoustic fabric. 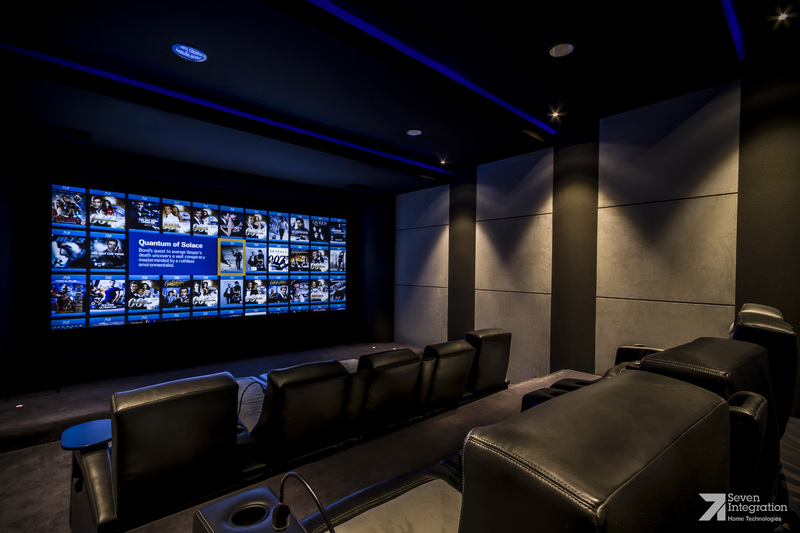 All parties involved were very pleased with the finished product and it rightly became recognised by CEDIA and entered as a finalist in the 2016 CEDIA awards.